It would be an understatement to say that Final Fantasy XV is one of the most eagerly awaited video games of the year. So understandably fans of the long-running RPG fantasy series were disappointed when publisher Square Enix announced that the game’s release date would be postponed to late November, meaning that Final Fantasy fans would have to wait a little longer to get their hands on this latest instalment of the iconic role-playing series. But a new preview video released during the PAX West show in Seattle proves that Final Fantasy XV is shaping up to be one of the best entries in the series to date, and it will also be the first to feature open-world gameplay. 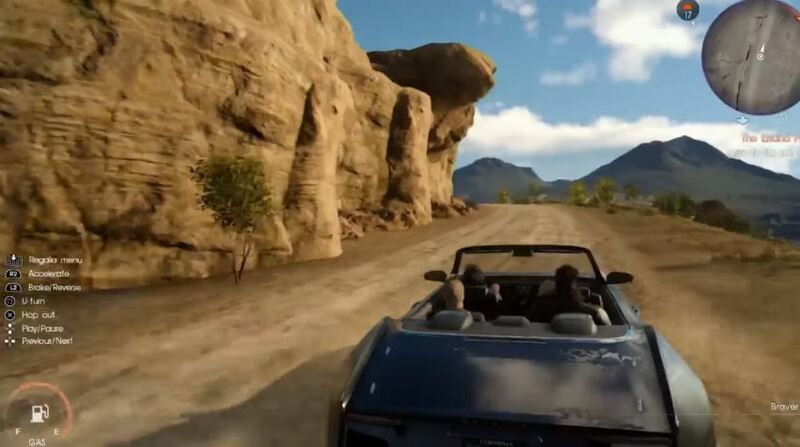 The new gameplay footage (which begins around the 25 minute mark in the video above) shows Noctis and his pals riding their car in a desert landscape before stopping by a sinister-looking mine in order to take down a powerful enemy in its interior in one of the game’s side quests. As they descend into the depths of the mine Noctis and his party encounter plenty of goblins which they deal with their melee weapons and magic, and admittedly the action does look fantastic due to the game’s impressive graphics technology and visual effects. What is clear though is that Final Fantasy XV is increasingly looking like it could be one of the year’s top hits when it debuts this fall, and is certainly one game that will be high on many player’s wish lists for 2016. Note: Final Fantasy XV will be released on November 29, 2016. Available on PS4 and Xbox One.